October 21, 2014 /3BL Media/ - Symantec, one of Silicon Valley’s leading technology companies, will provide funding to launch a new Foster Youth STEM and Work Readiness Training program sponsored by TeenForce and Silicon Valley Children’s Fund. The program will offer STEM training to 100% of high school foster youth in Santa Clara County. Upon completing the training, the youth will receive paid internships with some of the top technology companies in Silicon Valley. The project is the result of a Commitment to Action made by TeenForce at the 2014 Clinton Global Initiative America meeting. The Silicon Valley Children’s Fund and Symantec Corporation are now supporting partners on the commitment. Foundations and Corporations interested in supporting the commitment with funding and/or internship opportunities are encouraged to contact John Hogan at JohnHogan@teenforce.org or Elise Cutini at Elise.Cutini@svcf.org. Silicon Valley Children’s Fund invests in high impact programs that help the foster youth of Santa Clara County become successful and self-sustaining adults. SVCF’s primary focus is educational outcomes for youth and SVCF scholars graduate high school and complete college at much higher rates than foster youth in other communities. SVCF began working together in 2011 to pilot and implement foster youth employment programs. 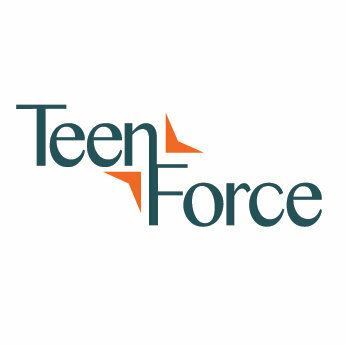 SVCF is a major funding supporter of TeenForce. The Clinton Global Initiative America (CGI America), a program of the Clinton Global Initiative, addresses economic recovery in the United States. Established in June 2011 by President Bill Clinton, CGI America brings together leaders in business, government, and civil society to generate and implement commitments to create jobs, stimulate economic growth, foster innovation, and support workforce development in the United States. Since its first meeting, CGI America participants have made over 300 commitments. To learn more, visit cgiamerica.org. Established in 2005 by President Bill Clinton, the Clinton Global Initiative (CGI), an initiative of the Bill, Hillary & Chelsea Clinton Foundation, convenes global leaders year-round and at its Annual Meeting to create and implement solutions to the world’s most pressing challenges. CGI also convenes CGI University, which brings together undergraduate and graduate students to address pressing challenges in their communities and around the world. To date, members of the CGI community have made more than 3,100 Commitments to Action, which are already improving the lives of more than 430 million people in over 180 countries. For more information, visit clintonglobalinitiative.org and follow us on Twitter @ClintonGlobal and Facebook at facebook.com/clintonglobalinitiative.